Hey Melbourne parents, news just in! You and your tiny dancers are invited to the National Gallery of Victoria (NGV) this Saturday 3 September 2016, to gain free entry for your children (and students) to Degas: A New Vision. 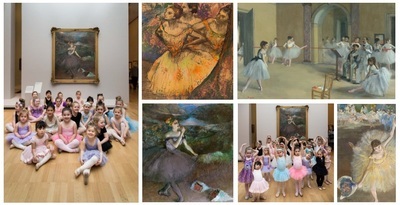 Much of the work by world famous French artist Edgar Degas, was inspired by ballet rehearsals and dance scenes which he famously depicted in his Impressionist era paintings. If you have yet to experience Degas: A New Vision, this the perfect opportunity for you to take your children along to enjoy the widely acclaimed exhibition, which will soon close in at NGV International after a successful Melbourne Winter Masterpieces season.